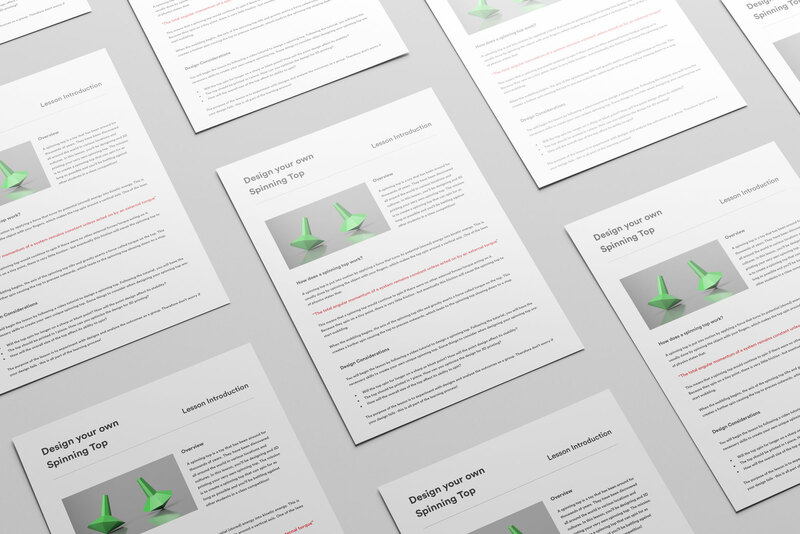 In this creative lesson, students will be designing and 3D printing their own unique spinning top to compete in a class competition! The first upload to PrintLab Classroom in April is a creative lesson called 'Design your own Spinning Top'. During the lesson, students will experiment with demonstration models and make design decisions on how they intend to improve the design and aesthetics of the demonstration models. In the main part of the lesson, students will follow an instructional video to design a spinning top. Using the skills learnt in the tutorial, they go on to design their own unique spinning top, which will be used in the class competition in lesson 2! To learn more about PrintLab Classroom and to try a free lesson, click here. Below is a video showing the process of the spinning top project and feel free to get in touch with us at hello@weareprintlab.com if you require any assistance with 3D printing in the classroom.